Today I cycled 21.0 miles on my Schwinn 170. My grand total is now 9,936.0 miles; 15,990.5 kilometers. And I’ve been thinking about what I should do once I reach the pinnacle of 10,000. This morning I left Lucky Bay and cycled, virtually, north and northwest past Cowell. I continued on. I am now located on Kimba Road, in South Australia somewhere south of Mitalie. I think the population of Mitalie is about between little and very small. (I can’t find any info.) But check out the road I am travelling. Yup, that’s right. It is pressed…not paved. (The Google image was taken about four years ago.) And I have just 1,382 more miles to go to get to my next destination and goal. Oh and by the way, just food for thought, I believe winter has begun in Australia. Temperature in Mitalie this morning was about 55° F.
You’re so vain. I definitely think this song is about me. 2012 Tampa tops the vainest cities in America. Pageviews count for Jim’s Trek for April – 3,569; March – 2,980. 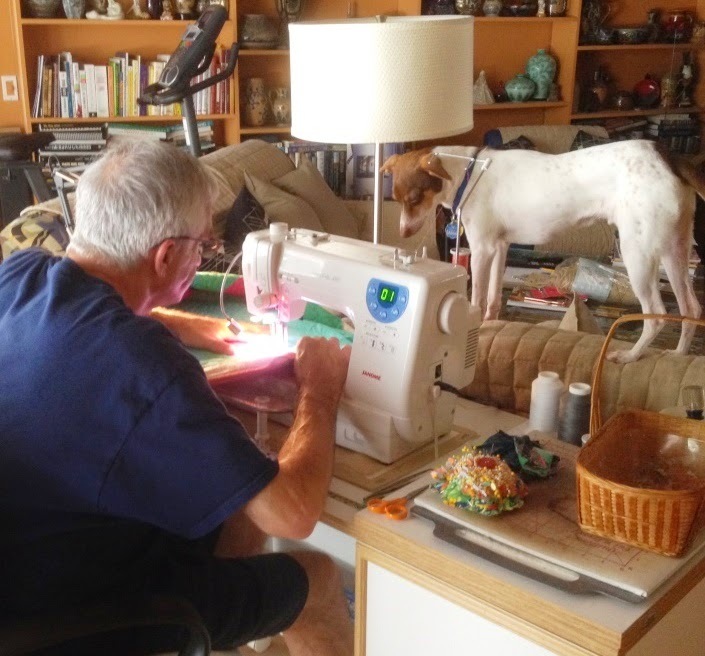 And Max does supervise our quilting of our new H-2 quilt and wall hanging. He's checking out the free-motion movement on one of our domestics. This morning I cycled another additional 21.5 miles. The countdown has begun. Only 85.0 more miles to go. Today the ferry landed at the Lucky Bay Ferry Terminal. I am now headed northwest on Lucky Bay Road. My next destination point is 1,403 miles away. 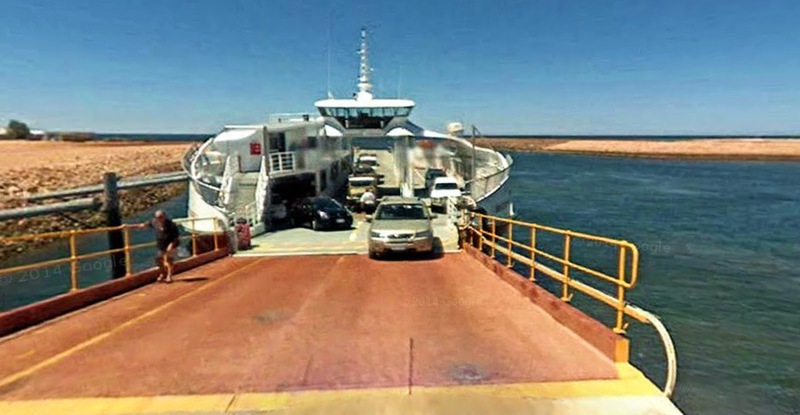 I believe I saved about 150 miles of road time by taking the ferry across Spencer Gulf. It is now about 53.6° F at Lucky Bay; in Tampa, 82°. 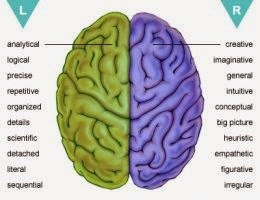 Two articles – Is diabetes shrinking my brain? by Leslie Wade, CNN CNN and Study: College grads heal brain injury faster by Denise Dador, KABC-TV, Los Angeles . Yes I do read a lot about a lot of things. 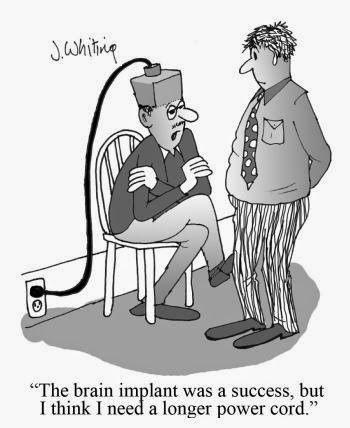 Question for my shrinking brain – What about the causal effects of the diabetes drugs and medications? And as always I am aware that titles given to media reporting are created to catch a reader’s attention. Both interesting articles. They do stimulate some thought. Not much else on my mind today. No pun intended. And I am still not taking my diabetes medication. 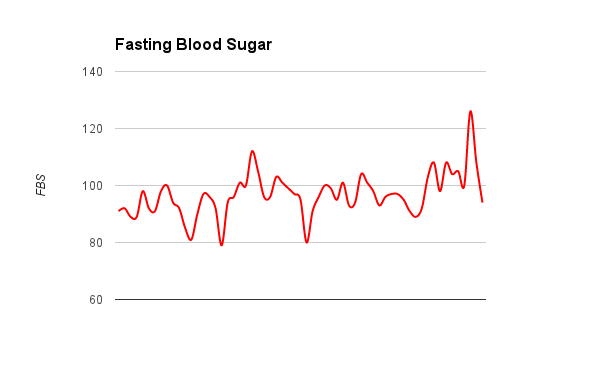 My blood sugar is registering in the normal ranges. Pageviews count for Jim’s Trek for April – 3,483; March – 2,980. This morning I cycled 21.2 miles on my Schwinn 170. My total now is clocked in at 9,863.5 miles; 15,922.1 kilometers. And today I am trying something completely different on my Trek. I am cycling while I am on the ferry crossing the Spencer Gulf. On my virtual Trek I and my Schwinn 170 have loaded onto one of the ferry boats that move across the Gulf. I loaded at Wallaroo Ferry landing and it looks like I will make it across to the west at the Luck Bay Ferry Terminal. Oh and by the way, the "B-Marker" is me...in another wet world. The quilting work continues on our H-2 quilt and wall hanging. This time we’re trying arches filled with pebbling of variegated thread. Writing my morning pages, I now have completed 293 days and 223,858 words. This is over and above the writing and word count of my blogs. I spend a lot of time writing. What does it mean to me? I write one hell of a lot. As I wrote yesterday I tried and I did re-create my version of the Ham and Gruyere Stuffed French Toast. It was wonderful… but I should have restricted myself to only one. But even with the amount that I ate my blood sugar this morning had dropped six points to 104. 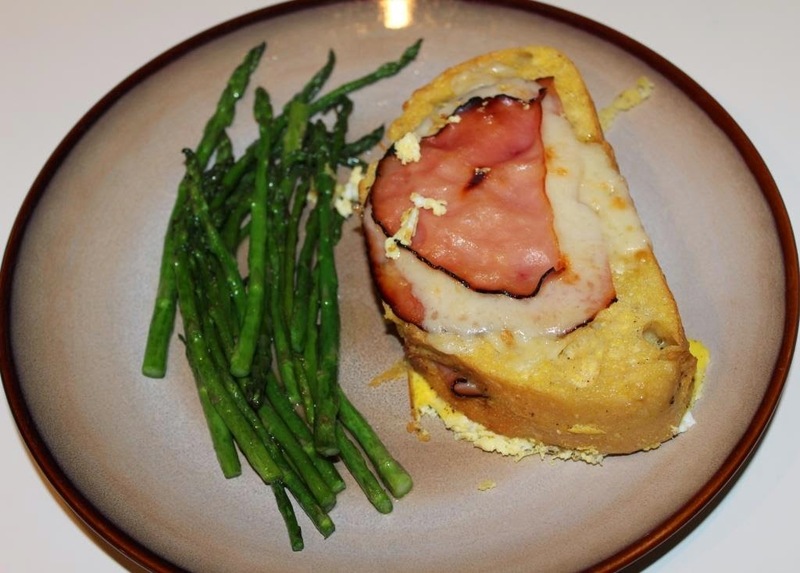 Rustic bread stuffed and topped with slices of ham and Gruyere cheese soaked and baked in an egg and milk mixture. Topped with blueberry syrup and a side of baby pan-fried asparagus. 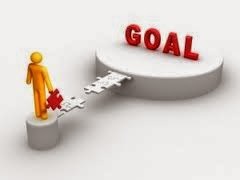 And my biggest goal should be reached by next weekend. I’ve got to just keep going, and pedaling. This morning I cycled another 20.9 miles on my Schwinn 170. I thought of not cycling this morning. I just ate too much pizza last night. And yes my fasting blood sugar was up 10 points to 110 and so I decided that I needed to just get on my Schwinn 170 and burn some calories; actually 616. 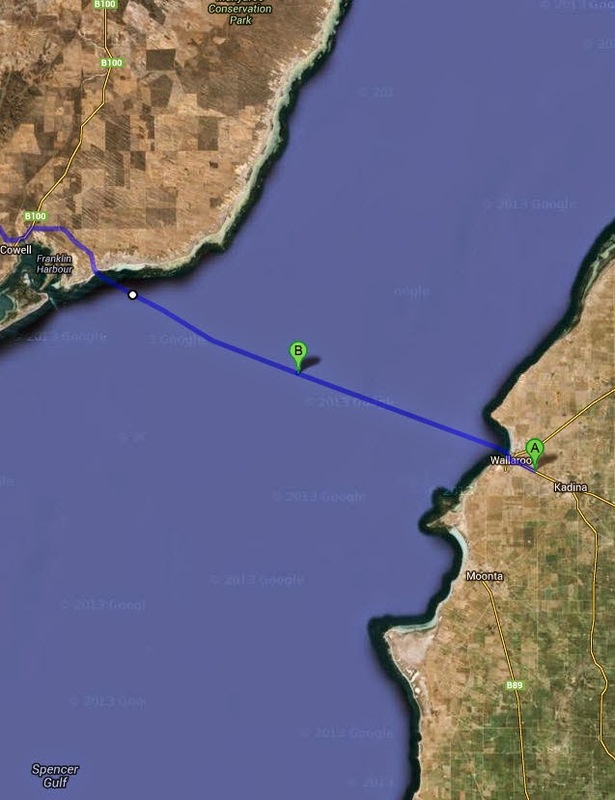 With the change of my directions in my virtual Trek I am now just east of the port town of Wallaroo in South Australia. On my Trek I have decided to take the Seasa Ferry across Spenser Gulf. All-things-being-equal it appears that Google Maps may allow for the accommodation of me virtual cycling on the ferry while I cross the Gulf en route to my number five destination and goal point. We’ll see tomorrow. I now have about 1,445 miles to go to get to my next destination and goal. I love to cook. But there are those days that I just do not want to turn the oven on. And then there are those times that I have just got to. I found a reasonable good application in Google called Good News. And just perusing, I discovered a recipe that I have to try from Kitchen Daily – Ham and Gruyere Stuffed French Toast. I’ll let you know when I try it. Pageviews, according to Blogger, recorded for Jim’s Trek have exceeded an all-time record so far for April. March 2014 hit a record high of 2,980. April, with four days left, is now at 3,322 Pageviews. And April has one day less than March. This morning on my Schwinn 170 I cycled 21.0 miles. So far in Jim’s Trek III I have cycled 1,234.3 miles. (I would have something to think about if the numbers had been 1,234.5.) To date, from December 2, 2012, I have cycled on my Schwinn stationary bicycles 9,851.4 miles, 15,854.3 kilometers. Oh and Radar, aka Ready, is constantly monitoring my cycling Trek. 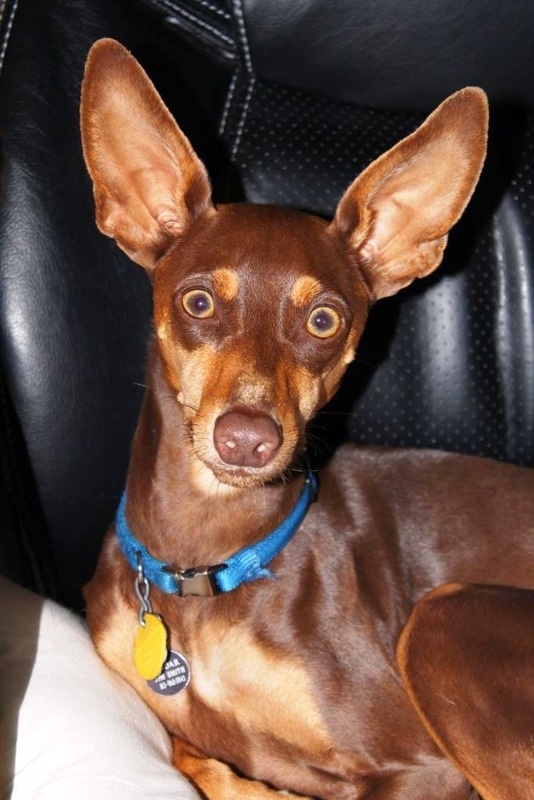 I know that he hears every spin and whir with those ears of his. The nice thing about taking a virtual trip is that I can change my direction in opposition of the PC programming whenever I wish. It does mean that this thing has become a part of my daily routine but has not complete absolved me of making decisions. This morning I decided that I did not want to keep following the National Highway to the immediate north. At just past Port Wakefield I took a left turn on to the Copper Coast Highway. I am now headed in a north westerly direction. 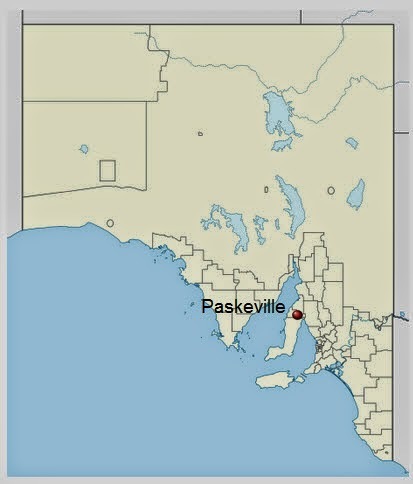 I am now east of the Town of Paskeville, population about 480. Paskeville is known for hosting the biennial Yorke Peninsula Field Days. This event is supposedly the oldest in Australia and one of the biggest for exhibiting farm machinery. Yorke Peninsula is one of South Australia’s most popular holiday destinations. Oh and I just realized that I made a gaffe yesterday on Day 57 (AD 487). The road images that I have been travelling on my virtual Trek have landscapes that look so, so similar that I mistakenly set Day 56’s image for Day 57. I made the correction. But the roads and the landscape still look the same and somewhat…mind-numbing. When does I plus XVI equal XXIII plus II? And is Pope Francis the ‘Cold-Call Pope’? Have you received your Pope-call today? 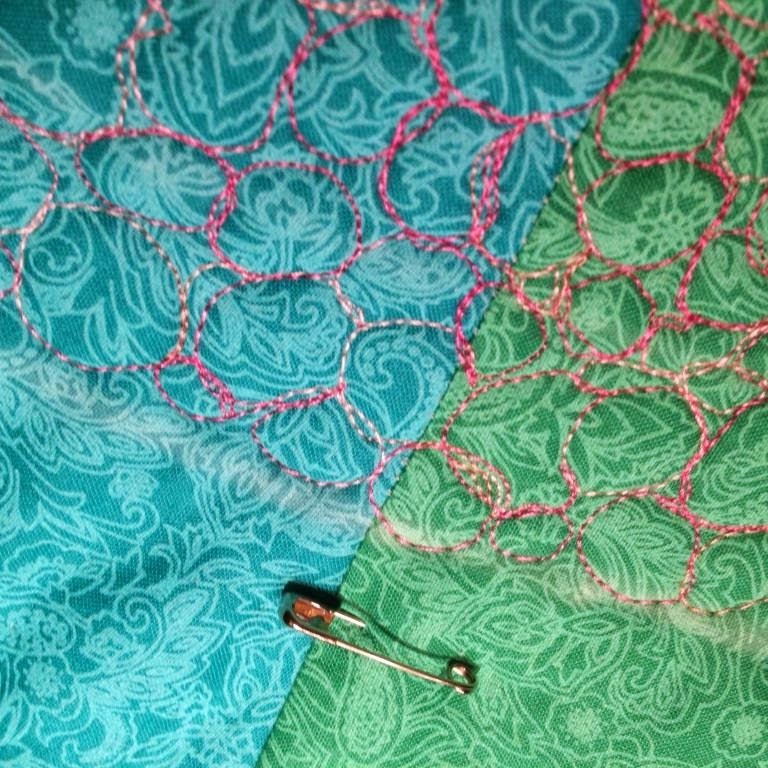 Here are two images from different angles of our quilting to our new H-2 quilt and wall hanging. Fringe is definitely the type of cycling companion that I need. As I cycle I do not pay any attention to the time that I've set myself. My Schwinn 170 takes care of that. I am, what I think, totally absorbed with trying to understand what and where the hell I am in relationship to the Fringe series. Is it within which of the two universes? Is it at what point of time? Is there a combination of the two multi-verses? Is there a new one? Is there a combination of fast-forward, present, and flash-back? My mind is completely befuddled but I’ve got to keep watching. I am now watching the 71st episode. I got to my cycling on my Schwinn 170 late this morning. I pedaled another 21.1 miles. Only 169.6 more to go. 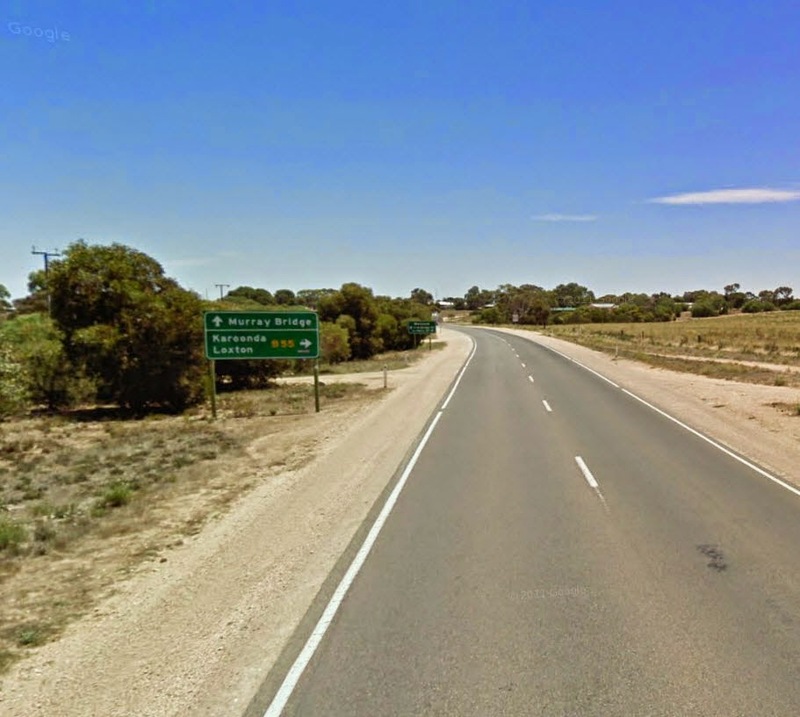 I am now travelling northwest on the National Highway and I am located southeast of Port Wakefield in South Australia. My location is just east of the northern part of the Gulf St. Vincent. In conjunction with the landscape, it definitely is apropos that I am listening to Camille Saint-Saëns Le Rouet D’Omphale. 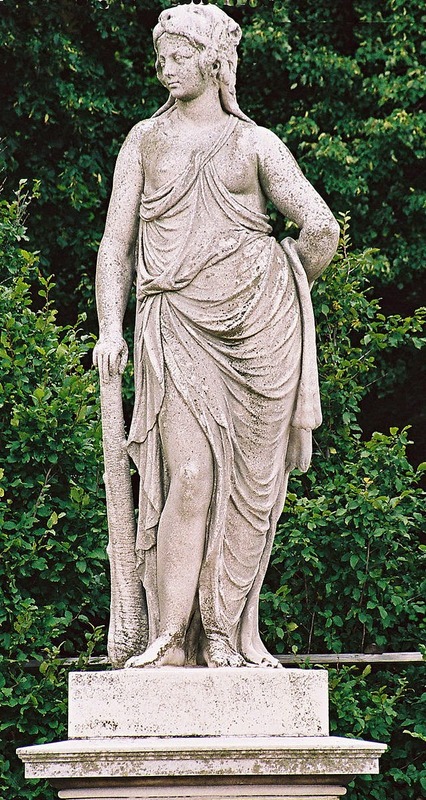 Again synchronicity, happenstance, or whatever… The translation of Le Rouet D’Omphale, from the French, is The Spinning Wheel of Omphale. I suppose my rouet is my Schwinn 170. The following image is my current virtual route. It includes the first four destination goal points on Jim’s Trek III. Last night I had a craving for Chocolate Macaroons. Yes I finished off the container. My blood sugar this morning increased by two points to 105. Yes I know that the direction should be downward. But they were Streit’s Chocolate Macaroons with coconut. And supper was a Chicken, Sweet Potato, Apple and Pineapple Curry. I was celebrating IIFA. I never know from day-to-day what I crave and want for supper. And I love to eat. This morning as a part of my exercise routine I pedaled 21.3 miles on my Schwinn 170 and I completed 100 sit-ups. 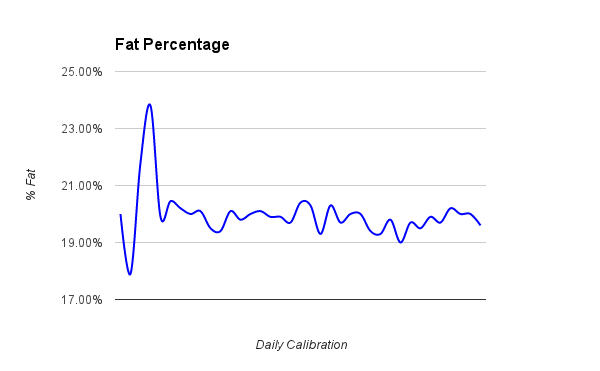 My Fat Percentage this morning registered 19.8%. I have been tracking this percentage since 13 March 2014. 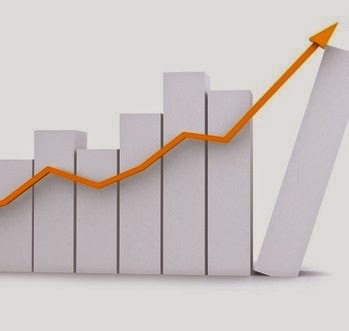 I have included a trend line in red in my chart, I am pleased to note that taking into account my daily percentages the trend is on a downward movement. My total mileage to date, from both my Schwinn 150 and 170 stationary bicycles equals 9,809.3 miles; 15,786.6 kilometers. I am now 1,596 miles or 2,569 kilometers from my #5 destination and goal. Thus far this month Jim’s Trek blog has now surpassed the top number of Pageviews as recorded by Google Blogger. Last month, March, the Pageviews topped 2,980. To date in April with six more days to go the Pageview number has reached 3,030. Thank you. 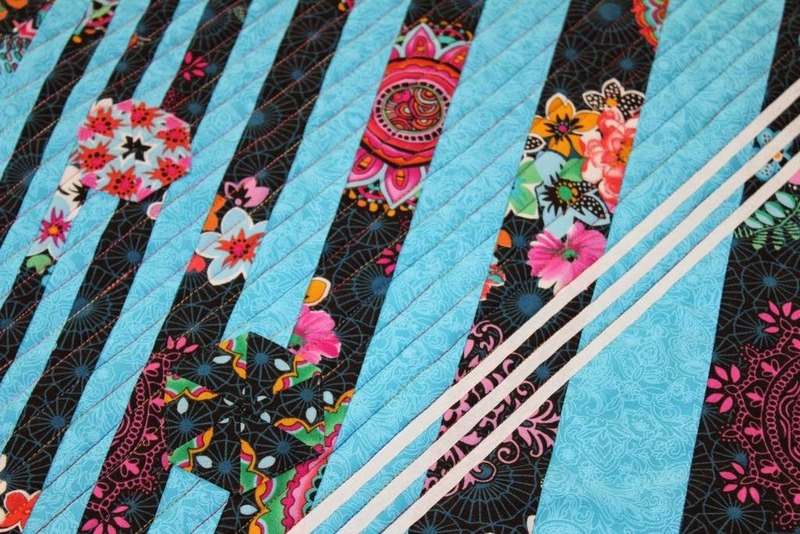 Checkout the updates to Afghans SB and Quilts SB FB. Today I completed 21.1 miles on my Schwinn 170. To date a total of 9,788.0 miles; 15,752.3 kilometers. 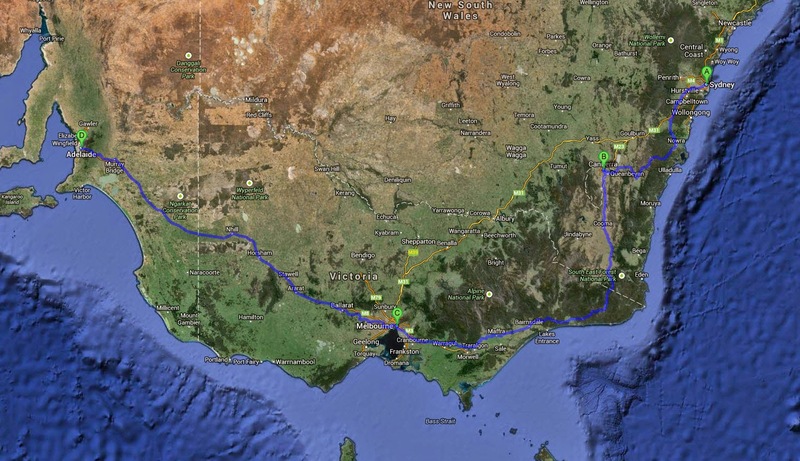 This morning the first 10.1 miles of my cycling takes me into my 4th destination and goal point in Australia, Adelaide. I made it to Reconciliation Plaza and Victoria Square. It looks like someone forgot to tell the folks that I would be arriving this morning. Oh well, I just keep moving on. And I continued an additional 11.0 miles. I am headed due north from the center of Adelaide. I am located now on Port Wakefield Road, also named Princes Highway at about Little Para Linear Park. And I now have another 1,618.0 miles to go to get to my 4th destination and goal in my Jim’s Trek III. I am somewhat a big science fiction fan. This morning I watched Fringe, while I cycled. I am now at Episode 1 in Season 4. This is the 66th of 100 of the series, and I am confused. Apart from the fact, or is that fiction, that there are two universes there is now introduced the concept of time travel. 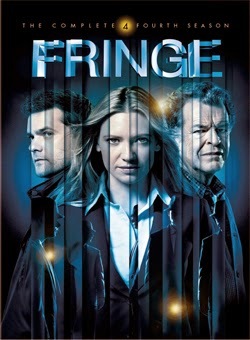 Fringe is keeping me completely absorbed trying to figure out who is from where and when is what is happening. Yes I am confused. But while I cycle on my Schwinn 170 I am focused on keeping a steady pace while pedaling while watching… without any interruptions. 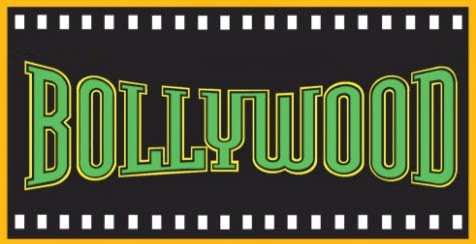 Bollywood begins in Tampa. I wonder what’s for supper. Quilting has begun on H-2. 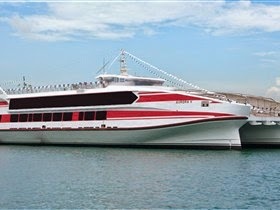 The design for H-3 has been completed. I am writing my Trek journal late today. Thank you BP for the 40 years of reminiscing. Thanks for lunch. Santiago el Grande and BP in one week, talk about the memories. This morning I cycled 21.4 miles on my Schwinn 170. It looks like I only have another 233.1 miles before I break the 10,000 mile mark. Damn. I never thought that I would last this long…cycling and exercise that is. Today I am on Greenhill Road at a point between Swamp and Piccadilly Roads in the Adelaide Hills region of South Australia. From what I can read on Google Maps I am just west of the Town of Summertown; population of about 400. Okay and here is a piece of Wikipedia information; Summertown has the distinction of being home to the highest percentage (60%) of people who used a personal computer at home in South Australia. That of course may have changed today as that was according to the 2001 census. I wonder if they are all Facebook friends with each other. My blood sugar dropped again this morning another 14 points to 94. I am watching what I am eating. Last’s night supper was a weird concoction that was sort of like a chili. Turnip greens, chicken breast, bacon, onions, Northern beans, garlic, white wine, paprika, cayenne, salt and pepper; sort of like a stew. And served over rice. I definitely would repeat. Oh and just a thought, I think that the Food Network is getting more and more removed from its original plan of food preparation. It seems that all the new shows are a combo – Beat the Clock and Chopped. I like cooking to prepare the food. 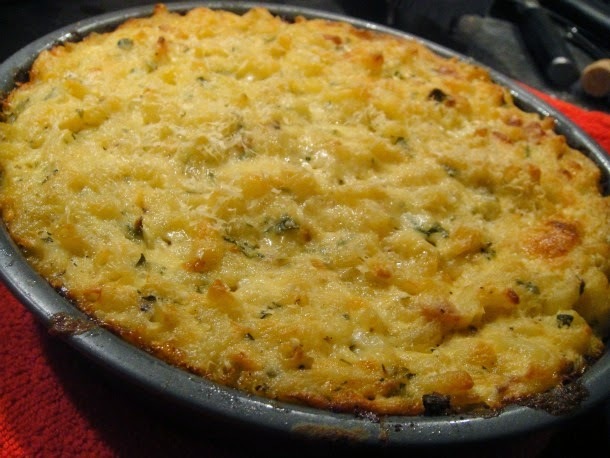 I am not in a competition to sling hash. 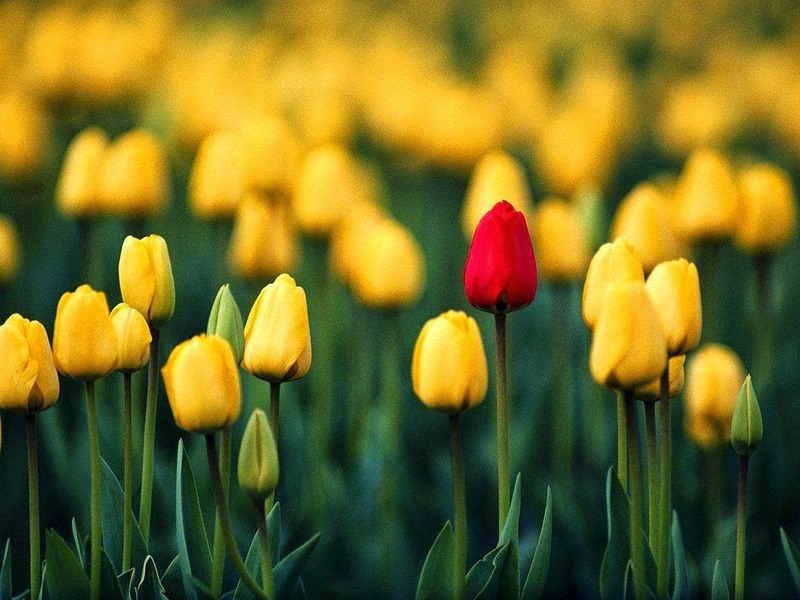 Julia Cameron writes in her Finding Water of an individual who appears to be caterwauling. ‘But you don’t understand.’ I can hear her wailing at me. I understand all too clearly. How many valuable writing hours have I myself wasted on drama? Focused on things that were out of my control, I failed to use the power that I did have, the power to create. It is the voice of my own experience that says to me that when too many people start behaving too badly, I probably am just not working hard enough. Over the years, I have ruefully noticed that when I am on track in my writing, everyone seems to behave much better. And yes I am reading Julia Cameron. 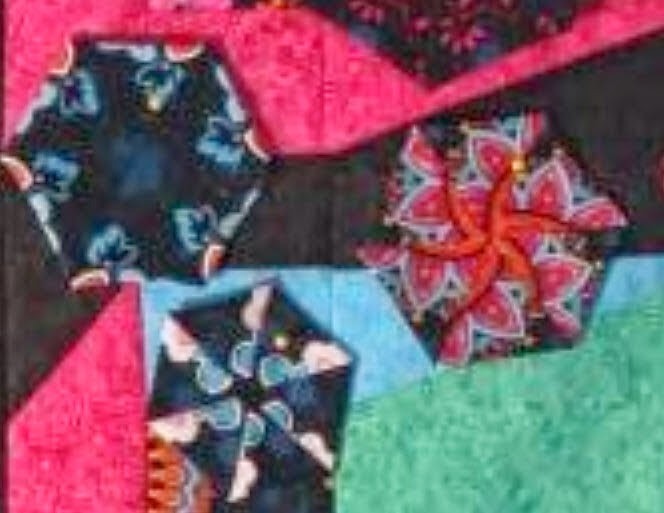 All kaleidoscopes have been added and appliqued to our new H-3 quilt and wall hanging. The design for the quilting for both our H-2 and H-3 has been decided. 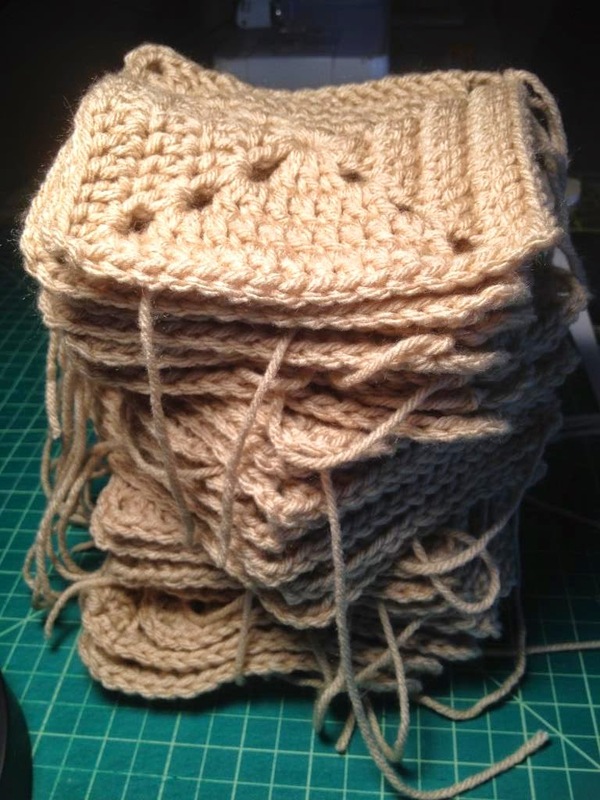 57 blocks have been completed for our new crocheted Afghan #5. Only 83 more to go. each block is 5 ½ inches square. I am now trying to create a 9” square stencil/pantograph for our design to our Equality quilt. This morning I pedaled my Schwinn 170 another 21.1 miles, and today I did that in 1 hour and 8 minutes. I can calculate that I have completed about 10.8% of my complete Trek III journey. (This is only the Australia part.). And this is my 23rd day on my new Schwinn 170. This morning I passed, on the Old Prince’s Highway, through Kanmantoo in South Australia. The population of the Locality of Kanmantoo is just over 700. I am now located about 32 miles from my 4th destination and goal of my virtual trip in Australia. Since I began Jim’s Trek III in Australia I have now cycled 1,128.4 miles, 1,816.0 kilometers. I had to look about some detail about and who the Prince’s Highway was named. It was named when the pre-existing roads were renamed “Prince’s Highway” after the 1920 visit to Australia by the Prince of Wales who later became King Edward VIII and then after abdicating, the Duke of Windsor. All-things-being-equal it is a more scenic and leisurely route than the main highways. April is on track and on this 21st day I have now written my 21st day of my morning pages. And according to the tracking at 750words.com I have completed a 187 day streak. All told, since I began recording, I have writen a total of 218,460 words in 286 days since I began last July. And today’s HuffPost article “A Conversation with Julia Cameron about Channeling Your Creativity” explains this part of my daily routine. Blood sugar this morning, sans Chocolate Covered Strawberry milkshake without whipped cream, is down 18 points to 108. That is good. Now I need to drop it another 8+ points to get myself back on track. My mantra is now, and I will keep repeating to myself, “No more diabetes meds”. 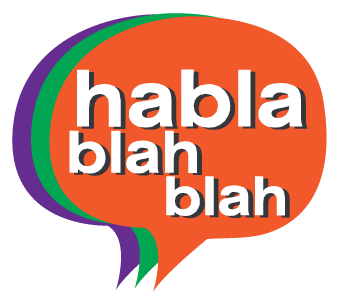 Why is it that the Auto-Voicebot who answers the phone and states that my telephone conversation will be and is being recorded never say “Wait a minute you already said that”? Should not the accredited “expert” and “responsible” representative, or human counterpart, have reviewed the recorded conversation so that I should have to repeat my story and issue for the umpteenth time? My bank hiccuped on another electronic paper payment that I had warehoused for delivery on March 31st. You would think that there would be a coordination of systems especially after I had initiated correction proceedings previously. I wasted too, too much time this morning having to repeat myself again, and again. Too many departments concerned with the same details, each reading a different line of the recorded details, that is, if they even listen to the recorded particulars. The kaleidoscopes have been positioned on H-3. Definitely a hell of a difference. Andy is sewing and appliqueing them on. 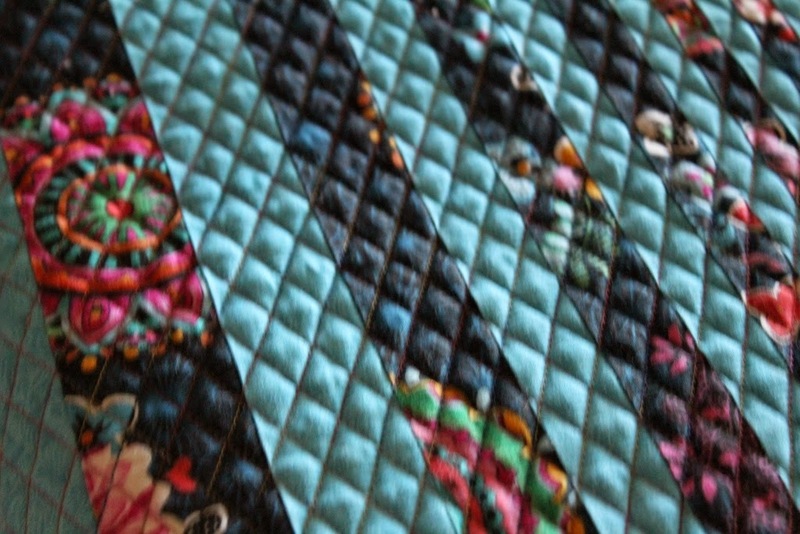 I am working on the design of the quilting. It truly is very different than anything we have done to date. 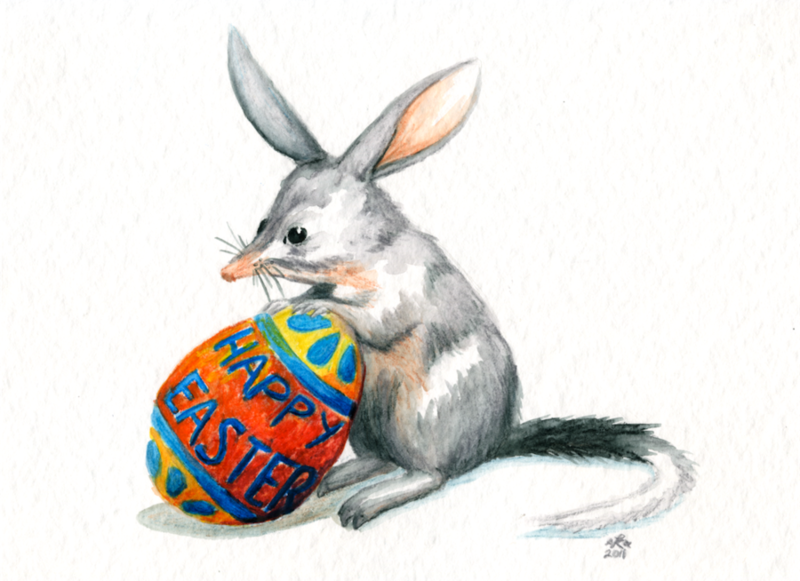 Happy Easter and may the chocolate bilbies cuddle up to you in your dreams. This early morning I cycled 20.1 miles on my Schwinn 150. I have now crossed the 1,100 mile mark since I began Jim’s Trek III. That mark is now 1,107.3 miles. All together I have now pedaled 9,724.4 miles on my Schwinn stationary bikes since 2 December 2012. I have only 275.6 more miles to go to reach a new grand total of 10,000 miles. This morning I am now headed, virtually, in a northwesterly direction. 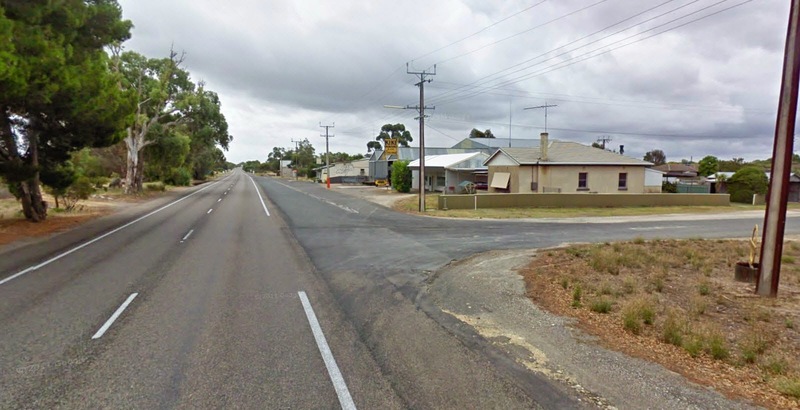 I am located on the Old Princes Highway and just southwest of Murray Bridge East. Well having a strawberry milkshake covered in chocolate syrup at 10:30 last night can certainly guarantee that my blood sugar will spike. And it did this morning to 126. And today is the day of chocolate and jelly beans and food but I realized that I do not need to be taking any type of diabetes medication, albeit chemicals to further poison or "fix" myself. I just won’t duplicate the mistake of late night milkshakes again. Hell I wish knew what I was thinking. But I was good; I did not have any of the whipped cream. And I just looked up the nutritional counts for the Steak and Shake Chocolate Covered Strawberry Milk Shake, and I am sitting down; 760 calories, 122 carbs, etc., etc. One day’s worth of my daily routine…gone! Today’s work on H-3 will be the placement of the kaleidoscopes. In my design I will be trying to make sure that there is a cohesive pathway between all three of our H-Series quilts and wall hangings. This morning I pedaled 21.2 miles on my Schwinn 170. I crossed the 9,700 mile mark; actually 9,704.3, a converted total of 15,617.6 kilometers. One hundred more sit-ups and my blood count at an even 100. 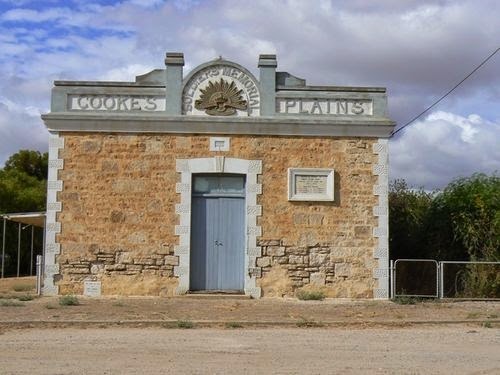 On my virtual Trek, I am located on Dukes/National Highway somewhere between Cooke Plains and Tailem Bend. Now just follow how my links and my mind work while I continue on Jim’s Trek. About 70% of Australia’s gypsum is mined in South Australia. Cooke Plain’s Gypsum Deposit is one on the largest producers. 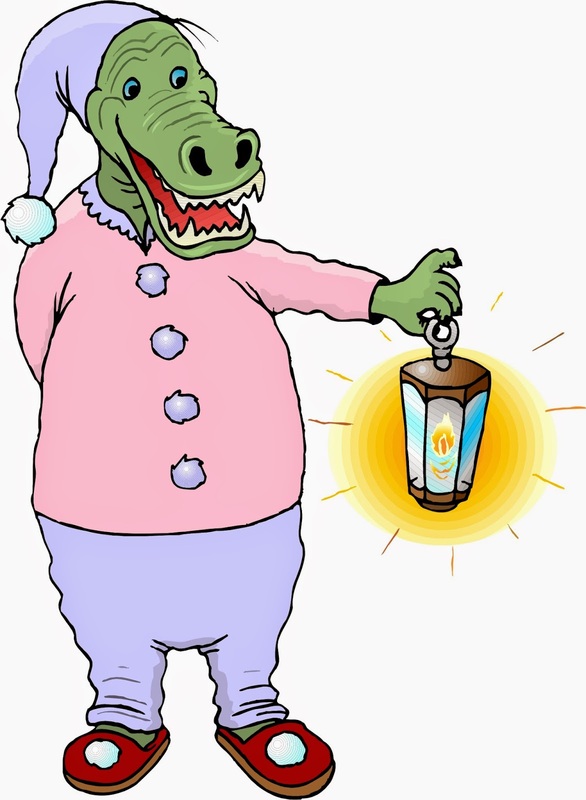 Gypsum is a smuggling source of the cause of the Plaster War of 1812 between Canada and America pinpointed in Passamaquoddy Bay which in turn leads me to the 1977 Disney movie “Pete’s Dragon” which of course, was filmed in Morro Bay, California. Which of course leads me to the near fact that I have pedaled on my Schwinn cycles to where I am virtually located the distance of just about the same mileage that I am currently located from my home in Tampa. Bring out the MRIs. I have now gone 275 days without taking any of my diabetes medications. Enjoy your chocolate rabbits and thousand year old eggs. 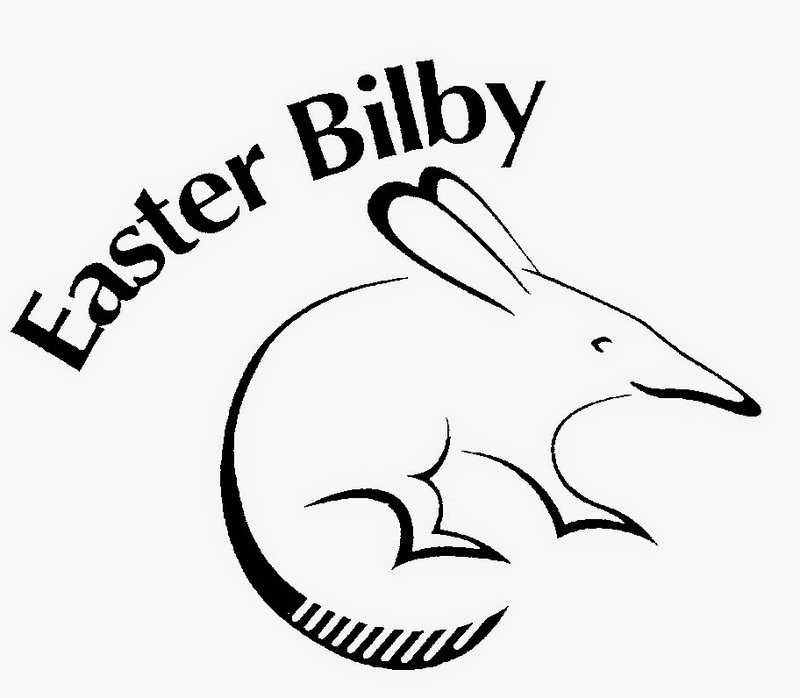 And down-under there is an Australian alternative to the Easter Bunny; the Easter Bilby. Well this morning I was back on my Schwinn 170 and I pedaled another 22.1 miles. My grand total miles cycled since 2 December 2012, 9,683.1. And I as pronounce to SG, I should say that this is not a wasted effort for a 62-year old. This is and has been the real part of my daily, minus 22 days, routine including 100 sit-ups. This morning I burned 642 calories on my Schwinn 170. 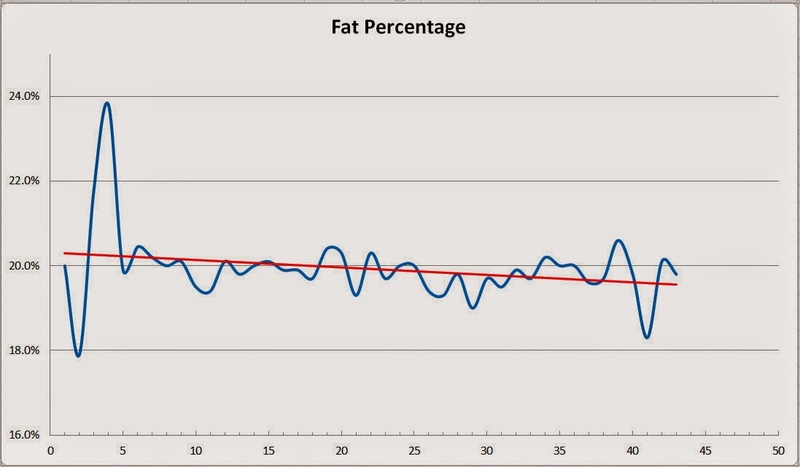 I’m still working on trying to reduce my Fat Percentage. Today on my virtual Trek I am located on Dukes Highway in South Australia. I am just a wee bit northwest of the small village of Ki-Ki. (Population about 190+). The arrow marks my spot on Dukes Highway. I have about 95 miles to go to reach my next destination and goal point. Okay I guess I have been removed from the work force for too long. Today is Wear Your Pajamas To Work Day. What happens when one sleeps in the buff? And Miss LD, this day is Pet’s Owners Independence Day. Role reversal for the Crazy Cat Lady? Gonna try my hand at making a Mac and Cheese Carbonara. Yes I know that it packs the calories and the carbs, (serving size of 211.2 grams contains 385 calories, total fat 16.7 grams, and 36.9 grams of carbohydrates). But it is so good. Period. I just have to pace myself, and yes I know that I am in contradiction of my fat percentage reduction goal… But it is so, so good! 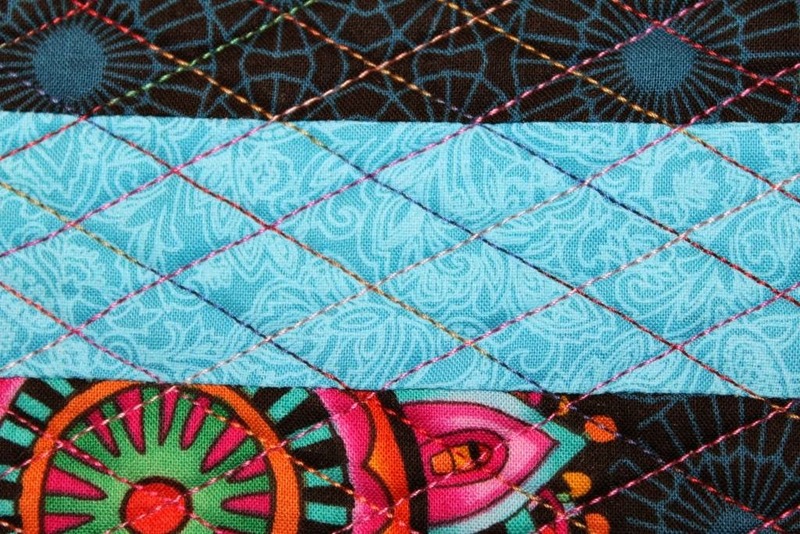 All the kaleidoscopes have been completed for our new H-3 quilt and wall hanging. Now follows the steps of positioning and appliqueing. Work continues on crocheted Afghan #5. Keeps my hands and fingers working while I am sitting watching TV. I am still working on the quilting pattern for our Equality quilt. It looks like it may be another hit. This one is for DO. I am taking the day off from cycling on my Schwinn 170 today. Virtually I am resting in South Australia...in reality, I am still in Tampa. This day is now the 22nd day I have not cycled since I began on December 2nd, 2012. Okay, okay. I did NOT plan this but does it not seem strange that I have rested 22 days since 02/12/2012. Maybe I am grasping for straws but that is a lot of twos. And thank you IV. 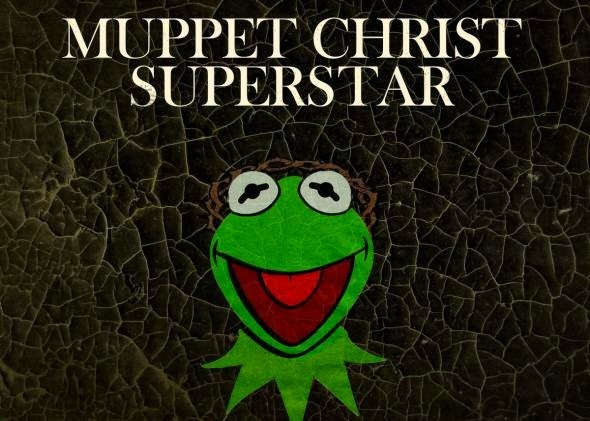 My question - Can the new Muppet Christ Superstar be considered sacriligious when some segments of society consider the original Jesus Superstar sacrilegious? The songs are almost brilliant. It is sort of creepy, but I am smiling and I''m laughing. And following along with Kermit and Miss Piggy, today is Nothing Like A Dame Day. 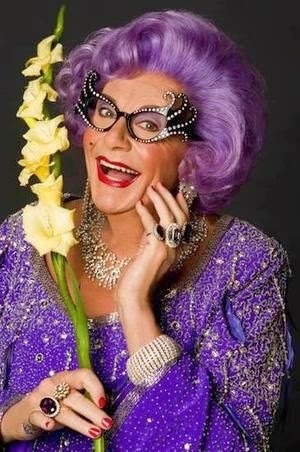 Thank you Dame Edna. It is also Blah Blah Blah Day. Don't ask me. I just find them and I shake my head. Guaranteed I will be back on my Schwinn 170 tomorrow.